In view of the coming long holiday season, falling on Monday, 25 December 2017 and 1 January 2018 respectively, Malaysia’s MYXpats Centre and Expatriate Services Division (ESD) online system will be conducting a maintenance and updating exercise of its system. In an advisory dated 6 December, it was informed that MYXpats Centre front counter, telephone and email services will be at its minimal support to customers. As such, employers are encouraged to plan the processing of their passes in advance. There will be no physical submission of documents at MYXpats Centre from 28 December 2017 till 1 January 2018. The last day of physical documents submission (for passport endorsement) is Tuesday, 19 December 2017, where the centre will assist to have all passports endorsed by Friday, 22 December 2017. The ESD online system will also cease its services from 26 December 2017 (6:00pm) till 2 January 2018 (8:00am). During this time, companies will not able to access the system or submit any online applications such as applications for employment pass (EP) and professional visit pass (PVP). This includes other expatriate related applications as well. Similarly, users will not be able to submit online applications for company registration via ESD. MYXpats Centre and ESD system will resume its services on Tuesday, 2 January 2018. Last day of passport and payment/physical document submission at MYXpats Centre is Friday, 15 December 2017. Any new or renewal submission via RP-T online system (which requires 14 working days for approval) after 15 December 2017 will only be processed from Tuesday, 2 January 2018 onwards. 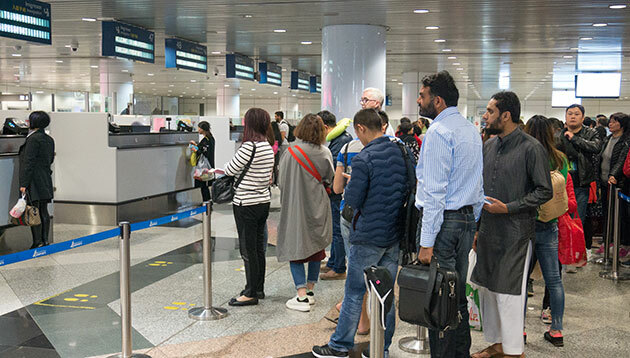 If employees have to obtain a new passport and plan to travel, they are strongly advised to complete the transfer of endorsement (TOE) process before their travel to avoid any issue at the departure and entry point in the airport. The heavier a woman gets, the more likely she is to work in a low-wage, physically demanding job, but men don't suffer the same fa.. Roughly half of this time is spent eating; the other is spent in 'leisure' activities - such as, understandably, making paper plan..